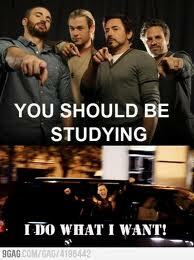 should be studying. . Wallpaper and background images in the The Avengers club. This The Avengers photo might contain teken, poster, tekst, bord, and schoolbord. I'm on a Loki phase I'm gonna post like 15 pics in a sec :3 awesome pic!